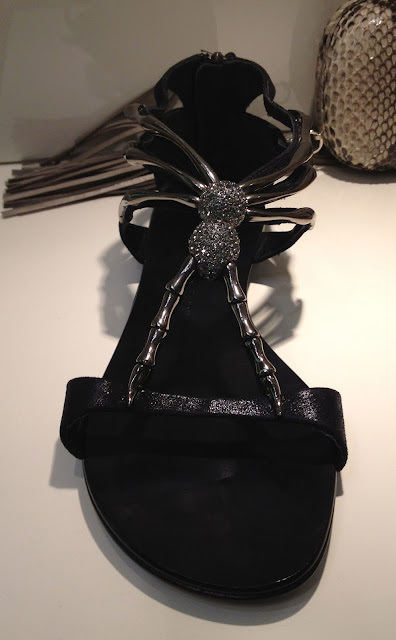 Fabulous spider sandals we saw in Las Vegas from Giuseppe Zanotti. They are perfect for any goth event or going to the Haunted Mansion at Disneyland. There are heels too, but these sandals are more my speed.